Many people seek love and commitment which will last a lifetime. Unfortunately, we see in the world that at least half of all couples do not experience this kind of happiness. 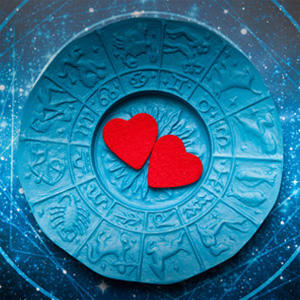 Vedic Astrology has for time immemorial honored the techniques for evaluating compatibility between couples to see if their planets support a relationship of agreement with each other. I carefully evaluate charts to identify reasons for marriage and relationship woes. 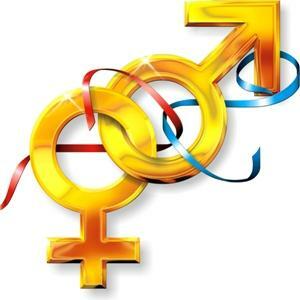 Venus and Mars have great impact on the success for a happy, committed relationship. Venus and Mars are “relationship foundation” planets. 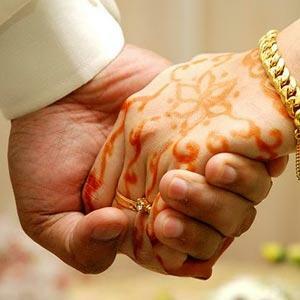 When they are both in beneficial place, their influences can help bring about timely and happy marriage. However, if Venus and Mars are weak in a chart or receiving troublesome influences from other planets, Venus and Mars can wreck havoc by triggering energies that destroy relationships or give ongoing marriage troubles. I give compassionate guidance to our members who come with questions about romance and commitment. Several areas of your chart reveal helpful information about what type of partner you will do best with. Traditional techniques examine the 7th house for clues about your chemistry for commitment. In addition, the 5th House gives important clues about likelihood for romance, closeness and intimacy while the 11th House indicates your ability to experience and maintain harmony with others. While the saying is “Men are from Mars, and Women are from Venus”, in reality, these two planets impact all of us in our abilities to find and achieve happiness in a relationship. The placement of Venus and Mars in a chart reveal considerable information to an astrologer about someone’s relationship karma. Most of us do not have “perfect” relationship configurations in our charts. The good news is that many imperfections and blemishes are quite correctable with simple remedies. Our Vedic astrologers will carefully analyze the Birth Star (Nakshatra) Compatibility of both the intended partner’s horoscopes with respect to their planetary positions and prescribe potent remedies to deal with difficulties like Manglik & Kalathra Dosha. What will your life partner look like? When will the marriage take place? Will your spouse be your soul mate? At what age will you be married? Will it be a love or arranged marriage? Note: Every piece of information shared by you is sacrosanct to us and is never sold or shared to any third party under any circumstances. We take great measures to protect the privacy of our patrons and customers. It is necessary to know whether you and your partner are made for each other or not! How would be your love life? Have problems in your love life? Get the solutions and remedies to make your relationship stronger and happier. The answer to this question is hidden in astrology. Every Indian parent dreams of getting their children – boy or girl, married at the right time. However doshas in the Kundli can cause a delay in marriage. We will provide answers for suitable marriage prospects – when will they get married, how will their marital be, compatibility with their spouse etc. For a marriage to be peaceful and happy, compatibility between spouses is very important. This Report offers: 1.Marriage Prospects Report 2.Matchmaking with 3 Horoscopes 3.Manglik Dosha Analysis 4. You can ask three questions to the astrologer and get suggested remedies. 5.Detailed Life Prediction for yourself and Best-matched horoscope & Remedies .